Rob Ruck is an author, historian, and professor of the history of sport at the University of Pittsburgh. In courses, books, and documentaries, he’s focused on how different groups of people use sport to tell a story about themselves. 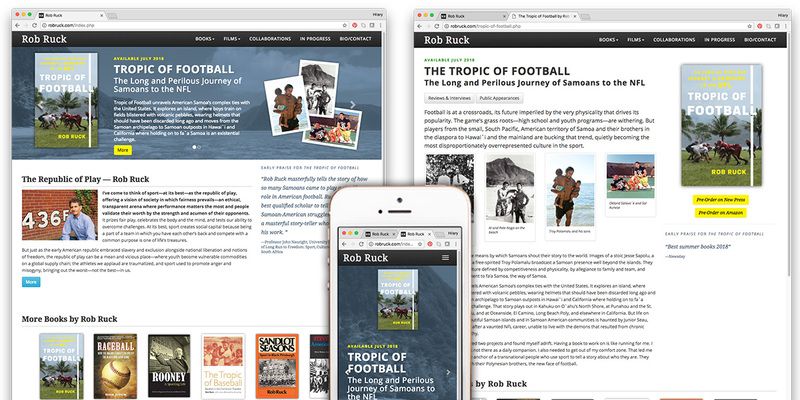 We recently worked with Rob to build a website showcasing his work, in particular his newest book, The Tropic of Football, which will be released in July. If you’ve ever admired Troy Polamalu flashing down the field and wondered about his background, you’re going to want to read this book! 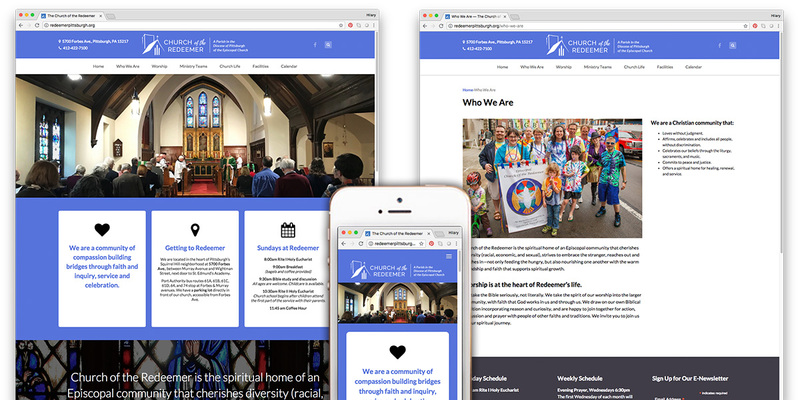 This progressive, welcoming, and justice-oriented community located in Pittsburgh, PA needed a website update that would reflect who they are. Through bright colors, photographs, and graphical elements, the site welcomes newcomers and expresses their identity as a church. 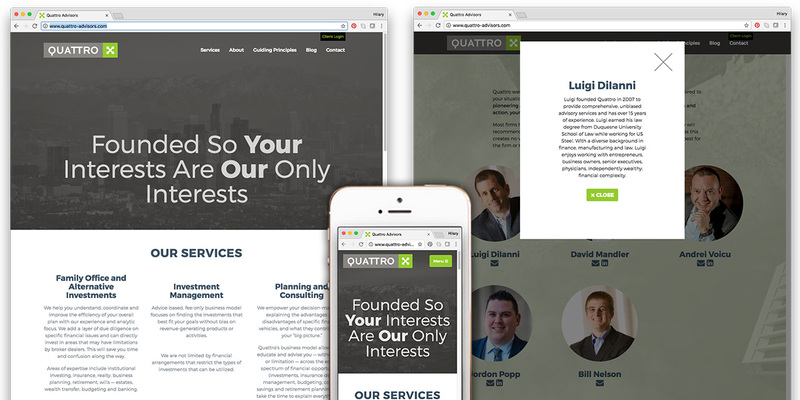 This simple yet engaging one-page mobile-responsive website showcases the unique approach that Quattro Advisors takes in providing unbiased advice and a strategy tailored to each individual’s situation. 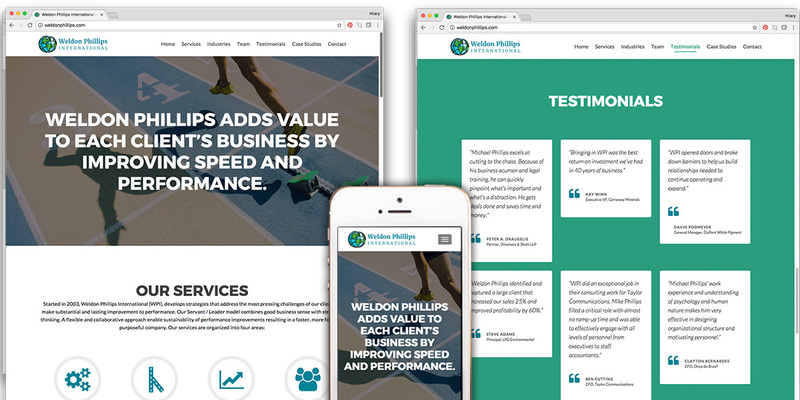 Weldon Phillips International (WPI), develops strategies that address the most pressing challenges of their clients to make substantial and lasting improvement to performance. 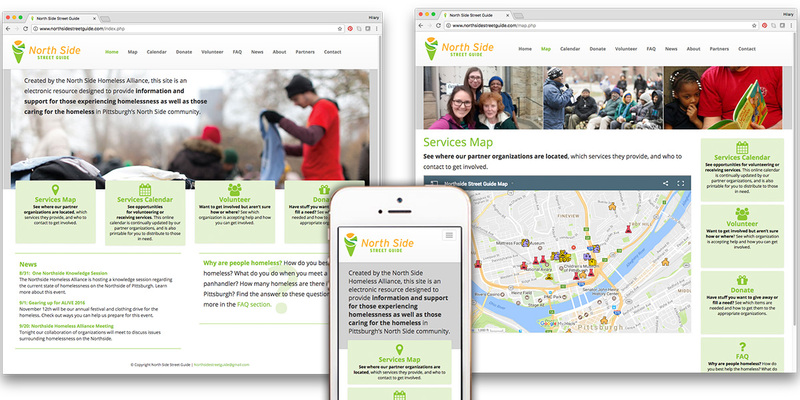 The Northside Street Guide website is an electronic resource designed to provide information and support for those experiencing homelessness as well as those caring for the homeless in Pittsburgh’s North Side community. 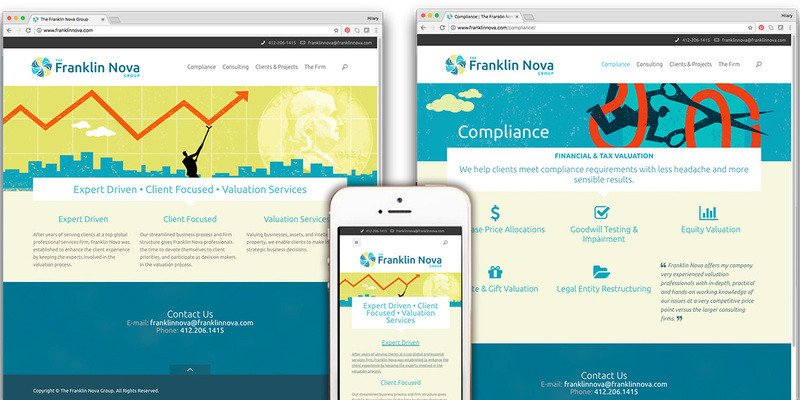 Franklin Nova is a boutique valuation firm compromised of professionals that have built their careers at world-class firms. They offer their expertise and experience at competitive rates by eliminating overhead, streamlining our work process, and embracing technology. 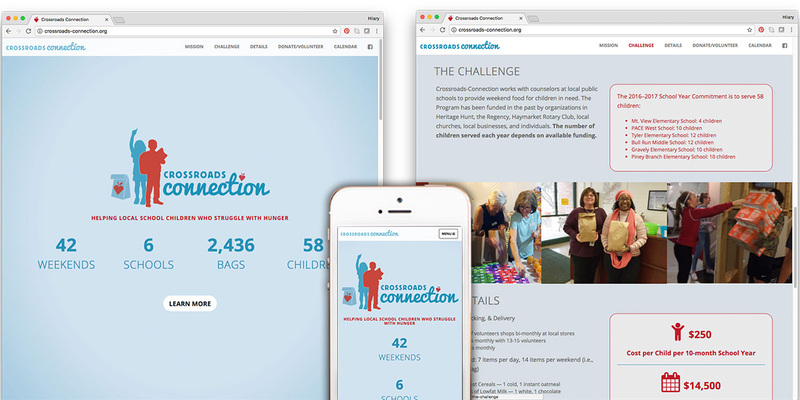 Crossroads Connection is an all-volunteer nonprofit community service organization that provides a Weekend Food Program for needy children in the public schools of Gainesville and Haymarket, Virginia. Muffinman Studios helped them establish a web presence, including a new logo, so they can do more good for more kids! Uber Advanced Technologies Center in Pittsburgh, PA is where the most advanced and innovative minds converge to develop groundbreaking technology for Uber. 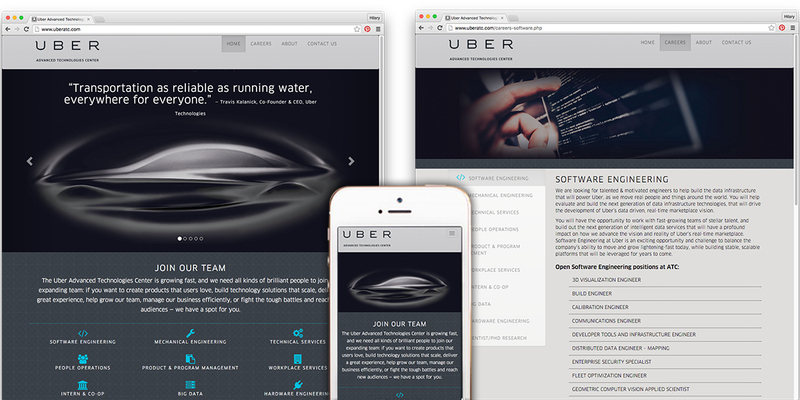 This streamlined site is a recruiting tool for the fast-growing company. First Light is the joint venture of production gaffers and directors of photography Jeff Garton, Jeff Vandermolen, and Adam Stevenson in Pittsburgh, PA. 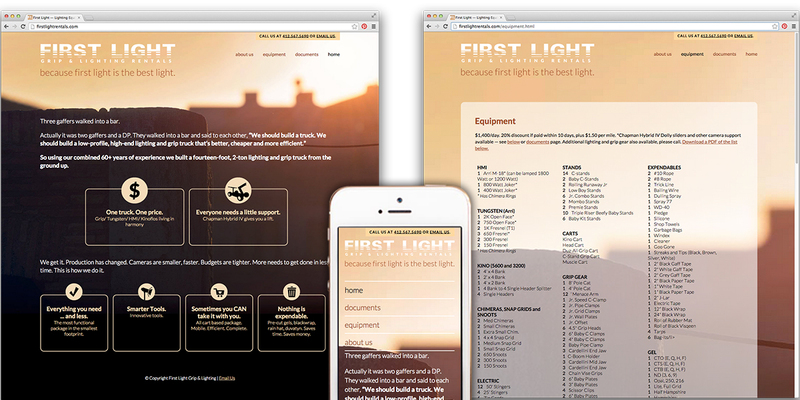 Laced with the humor that characterizes their personalities, this site showcases the simplicity of their grip and lighting truck and equipment rentals. 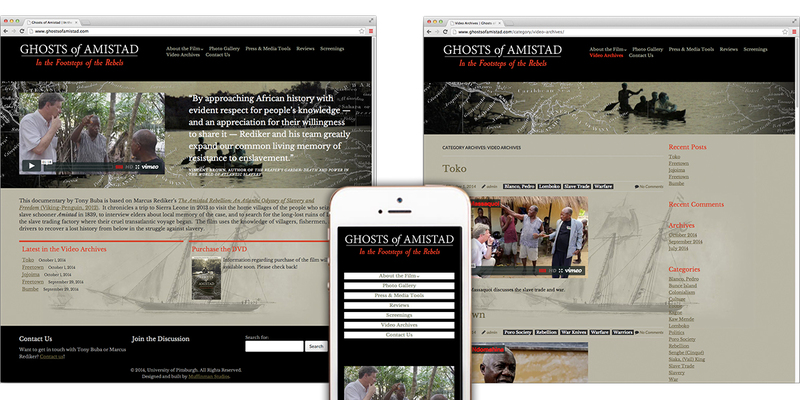 Promotional website for the documentary film by Tony Buba, based on Marcus Rediker’s The Amistad Rebellion: An Atlantic Odyssey of Slavery and Freedom (Viking-Penguin, 2012). It chronicles a trip to Sierra Leone in 2013 to visit the home villages of the people who seized the slave schooner Amistad in 1839, to interview elders about local memory of the case, and to search for the long-lost ruins of Lomboko, the slave trading factory where their cruel transatlantic voyage began. The film uses the knowledge of villagers, fishermen, and truck drivers to recover a lost history from below in the struggle against slavery.